ROBOT COUPE Compact Range 250mm Stick Blender With Variable Speed Pan Capacity CMP 250 V.V. ROBOT COUPE Compact Range 300mm Combi Stick Blender With Variable Speed CMP 300 V.V. ROBOT COUPE 4L Cutter Mixer with Variable Speed R-4 V.V. ROBOT COUPE 5.5L Cutter Mixer with Variable Speed R-5 V.V. 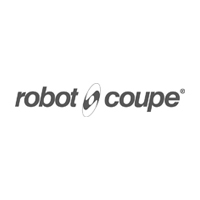 ROBOT COUPE 5.5L Blender-Mixer/ Emulsifier with Variable Speed BLIXER 5 V.V. ROBOT COUPE Mini Range 240mm Combi Stick Blender With Variable Speed MINI MP-240 V.V. ROBOT COUPE Compact Range 350mm Stick Blender With Variable Speed CMP-350 V.V.